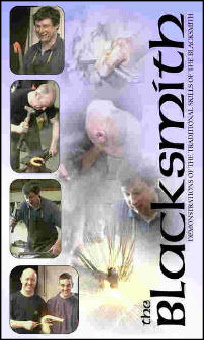 The Blacksmith was a very important and necessary crafts person in the community in the late 18th and early 19th centuries. He was called upon to shoe horses, make carts, tools, household items and make and repair machinery. farming life, the tradition and the need of the blacksmith lessened during the 20th century, forcing many smiths to turn to engineering. and closing many family forges. Today, the skill is still carried on by many crafts people to create artistic ironwork for modern decor. Using the traditional forge, hammer and anvil method the iron is heated in a coal fire and then crafted into an individual creation. At an Open day held at Tony Mc Elroy's forge at Favour Royal Road, Augher, people came from far and near to view the skills of the skilled farriers and artistic blacksmith and to learn of the history of forges locally.